While comfortably seated in your car‚ RV or on your motorcycle you can see the beautiful vistas the Champlain Valley offers or stop and visit artists' studios‚ museums and farm stands. Below are several tours for your to take during your visit. Following more than 230 miles of spectacular shoreline‚ the Lake Champlain Byway network connects the region's expansive blue waters‚ working lands‚ lush forests and picturesque mountain peaks. 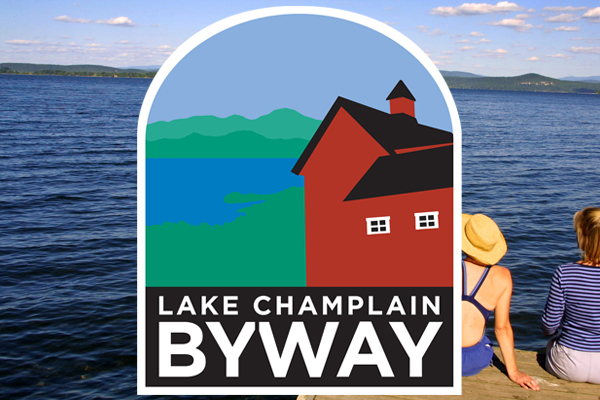 Visit the website or view a YouTube video with an overview of the Lake Champlain Byway. Vermont's 10 designated byways range in length from 14 miles to more than 400 miles. An exploration can range in length from an afternoon to an entire summer. Themed itineraries are available to help jump start you Vermont byway adventure. For foodies seeking local flavors, there's Chews & Brews. Arts & Culture reveals Vermont's creative spirit, while History & Heritage shares the state's varied past. For physical pursuits from mild to wild, Outdoor Recreation serves it up. Access these itineraries for each of Vermont’s 10 designated byways and start planning your journey today. Visit VermontVacation.com for more information on Vermont's byways or view an online version of the Explore Vermont Byways brochure. Download three suggested driving tours that begin and end in Middlebury‚ but they can be adapted to leave anywhere in Addison County by adjusting the starting point. During foliage season any of these tours provide spectacular vistas of the colors for which Vermont is famous.